Peter is the chief apostle, the rock. Jesus changed his name from Simon to Kepha, or Petrus in Latin. He is and remains the rock on which the Church of Christ still stands – the teaching office of the bishop of Rome has never been claimed by any of the ancient Churches. Paul is the great missionary, whose journeys took him from Jerusalem to Antioch to Rome and all the way to Spain, planting Churches wherever he went. He always started with the Jewish community, many of which had Gentile converts. To these people he proclaimed that the Messiah had already come, and it was time to move forward into the fullness of redemption. 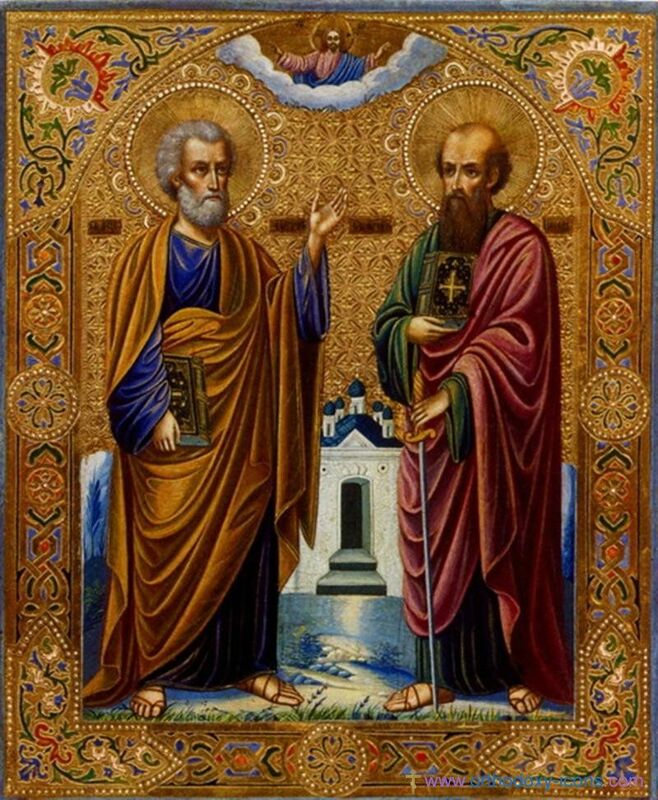 Peter and Paul together had to wrestle with the idea of Gentiles joining the People of God, instead of only ethnic Jews or people converted to the Old Law. It is their insight, through God’s actions of grace, where they were not only able to go beyond the limits of the Mosaic Law, but realize what God is asking of them – the creation of a new people of God, a new people that embraces the entire human race and which rejects the complicated Jewish legal system that had now outlived its purpose. This is settled in the first council of the Church, held at Jerusalem and described for us in Chapter 15 of the Acts of the Apostles. Our parish has two relics to be venerated. One is a tiny piece of bone from the tomb of St Peter, which is on the Vatican Hill directly under the high altar of Saint Peter’s basilica. 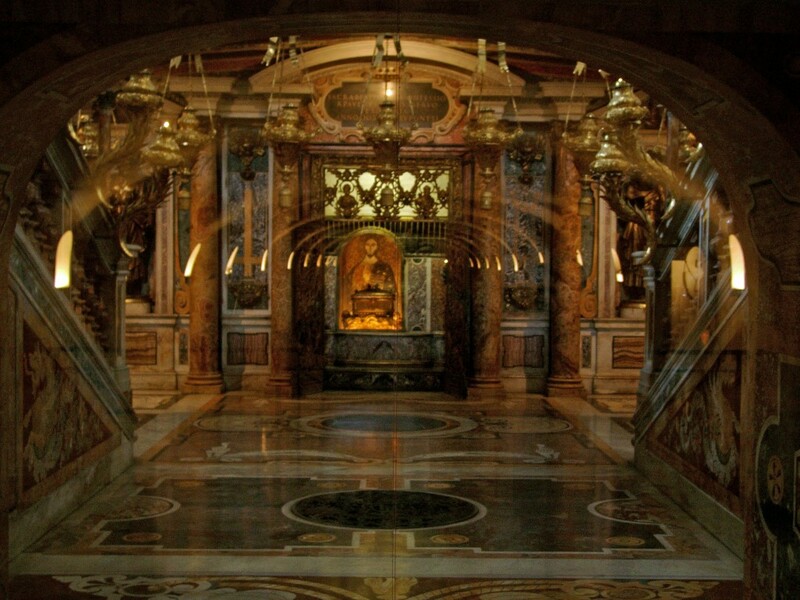 The other is from the skull of St Paul, which is kept in the cathedral of the diocese of Rome, the St. John Lateran Basilica. The two apostles are often shown embracing, reconciled at the council of Jerusalem. 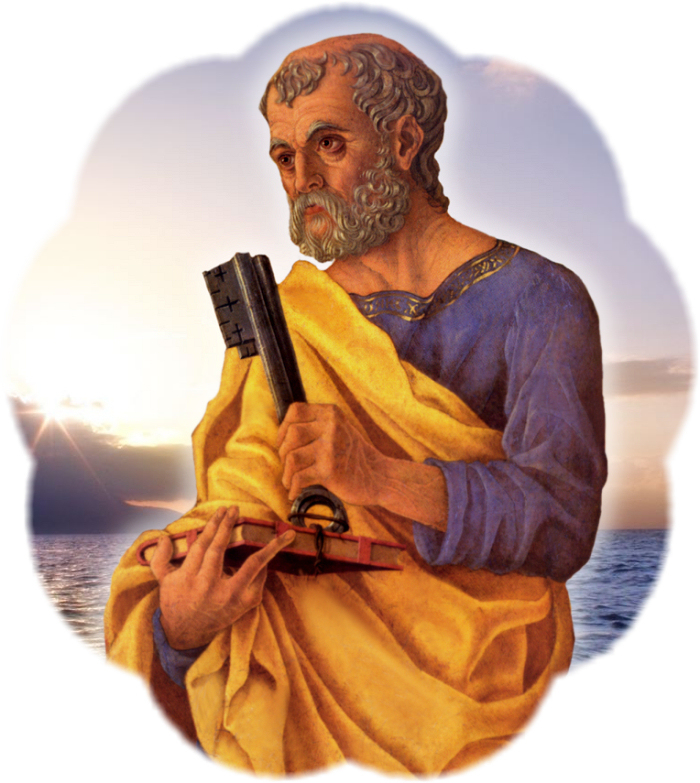 Or they are shown side by side – Paul with his letters which remain the basis of so much of our theology, Peter holding his letters and the keys of the kingdom. The image of Peter as holding the keys has endured ever since: even among those who have no Christian heritage left to speak of, will talk about Peter letting people into heaven. Peter’s successors stand as the visible heads of the Catholic Church, but Jesus remains the invisible head. He gave the keys to Peter as His steward, giving him authority, but everything relies on Christ’s Incarnation, Sacrifice, Resurrection, and Ascension. The pope is called pontifex – the bridge builder. In these days as Rome tries to reunite with the Eastern and Oriental Orthodox, and calls all people to greater awareness of one another as children of God and being responsible for life on this planet, Pope Francis is acting as bridge builder. When the media want an answer to an ethical issue, they do not go to Moscow or Istanbul – they go to Rome. When a pope dies, all media head to Rome for the funeral and conclave. Vatican City covers 109 acres, but nearly every nation sends an ambassador to it. Paul’s writing and Peter’s teaching remain to guide us in a confusing world, a world so much in need of bridge-building. In venerating their holy relics tonight, let us ask them to intercede for us as members of the People of God, that we will be faithful to Christ and His Church, but also that we will be true representatives of God to the world that looks to us for answers.